Is Your Estate Plan Still in Order? Planning for what happens to your assets after you have died is an experience that most people don’t want to have to deal with more than once. If you have a will and you have beneficiaries listed on your life insurance policies or other accounts, you might think that you’re done with your estate plan. Unfortunately, this usually isn’t the case. Even if nothing in your life has changed in the time since you had an attorney draft these documents, there may be important items that aren’t properly addressed because of changes to the law. Contact Safe Harbor Wills & Trusts in Watertown to speak with our attorney about updating your estate plan so that it follows your wishes exactly. Our firm has years of experience helping people protect their assets and plan for the future. We can help you navigate all of the legal complexities of estate planning so that you can relax knowing that your wishes will be carried out the way that you want. Life moves fast, and we tend to forget adding or removing beneficiaries from our wills or trusts. While most additions are for a good reason, such as having a new child or grandchild, there are some situations in which you need to change your will to prevent someone who is no longer in your life from reaping a financial windfall if you pass away. A good rule of thumb is to check your will whenever a family member is born or dies. While these events might not automatically necessitate a change in your estate plan, it is a good habit that will help prevent outcomes that you would not be happy with. We all want to believe that we will live a nice, long life and then gently drift off one night and not wake up. Hopefully, this will be true for most of us, but in the event that we become sick or are unable to make decisions on our own, it becomes even more important to have your estate plan in order. Any good estate plan should now include a will, a power of attorney, and a document that spells out clearly what your medical decisions are and who you would like to appoint to ensure that your medical treatment is carried out in the manner of your choosing. Our attorney at Safe Harbor Wills & Trusts can help you determine the best course of action to make sure that you receive the treatment that you want. While the idea of squabbling with your loved ones over the possessions of someone you cared about may seem impossible or even abhorrent, the truth is that this happens all the time. Many families have been torn about arguing over who-gets-what, because the deceased did not spell out how they wanted their personal effects distributed. Without stipulating who receives what items in your will, it will be up to the executor of your estate to try to divide these items up as fairly as they can. If you want to make it easier on your executor, and everyone else, explicitly state who will be bequeathed what effects in your will. 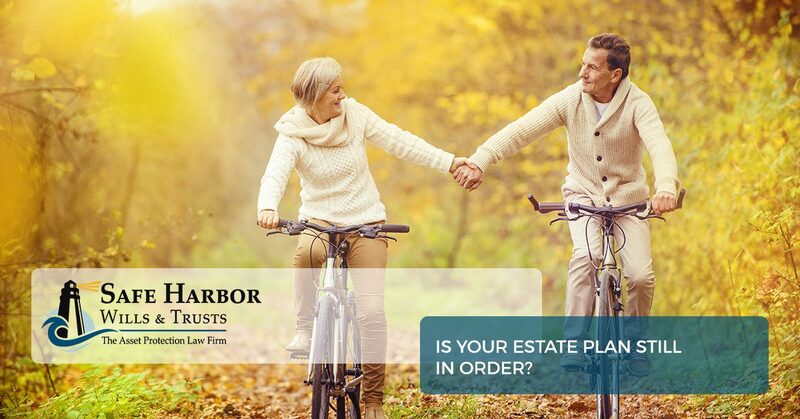 At Safe Harbor Wills & Trusts, we are here to help you deal with the sometimes unpleasant work of creating an estate plan. We promise to do everything possible to make your last wishes a reality when that time comes by offering you the legal advice and direction that you need. Contact our offices in Watertown and Syracuse today to schedule an appointment.